Blue Fern Studios: Are You Thinking Ahead to Christmas? Are You Thinking Ahead to Christmas? We are, at Blue Fern Studios! And we have the perfect collection to get you ready to start tackling those holiday projects. 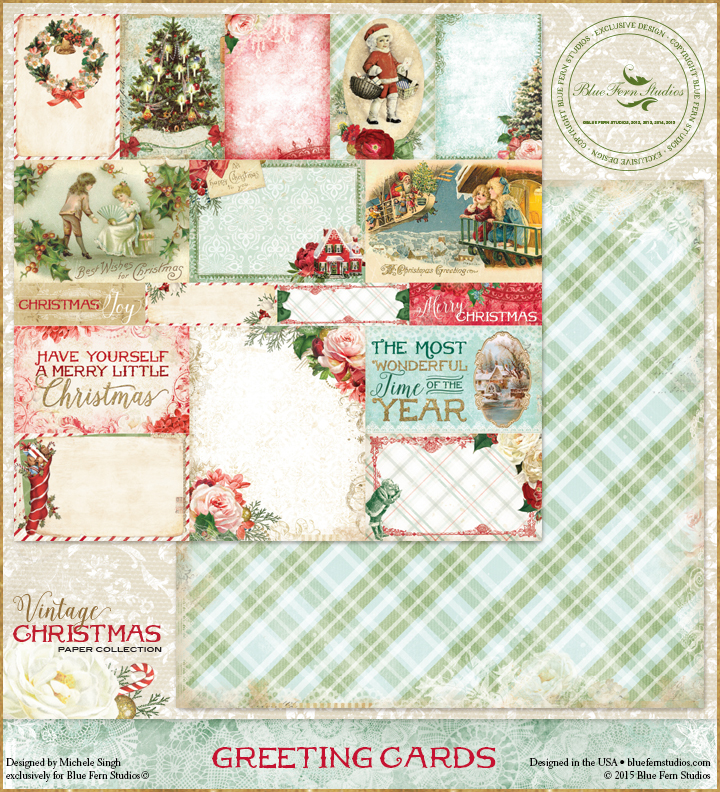 If you plan to make cards, tags, or gifts for your family and friends, we have a beautiful collection to get you started. 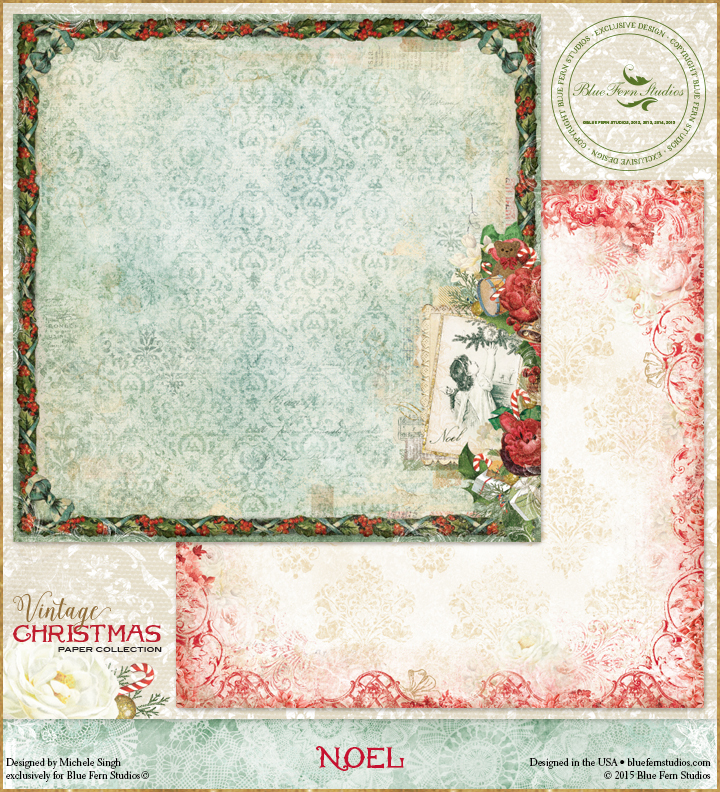 And don't forget those projects for your home, or how about displaying a few layouts with photos of Christmas past? 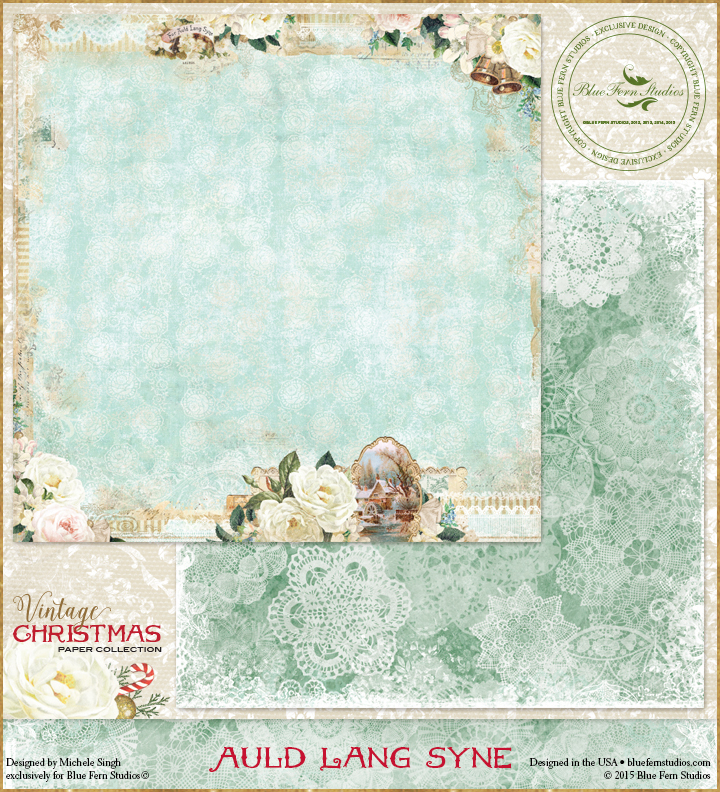 The Blue Fern Vintage Christmas collection is just what you need. 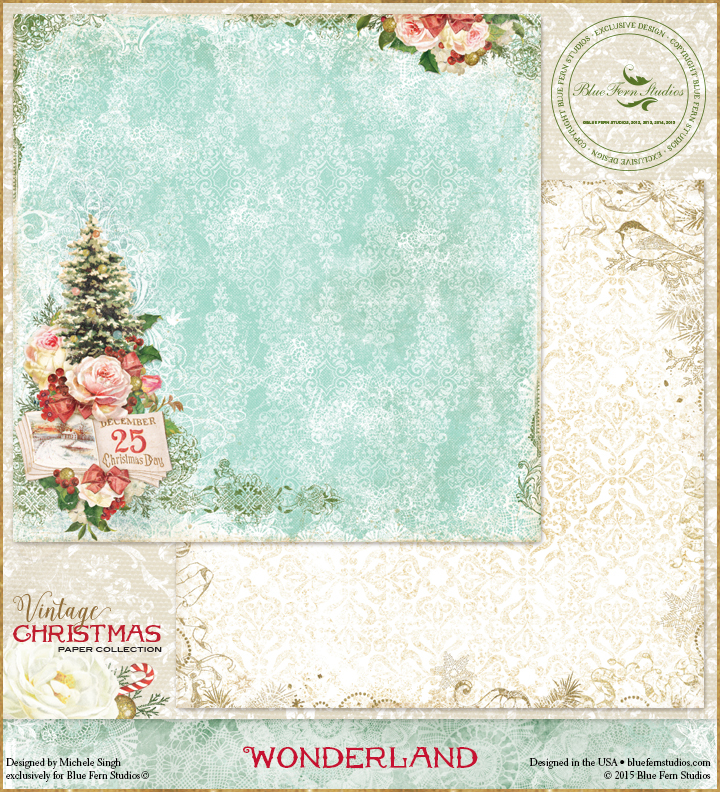 Here's a close-up look at this elegant paper collection featuring shades of blue, green, red, pink, and neutral tones, all with a true vintage look. 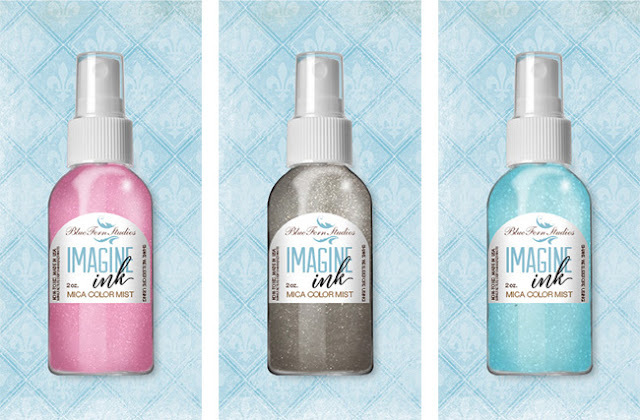 We are also excited to introduce a brand new line of products called Imagine Ink. These products were created to coordinate with our Vintage Christmas line. No more searching for just the right color of mist, embossing powder, or glitter. We have done all the work for you! Our three new mists are Cotton Candy, Jingle Bells, and Winter Mint and they are sure to add just the right amount of luster and interest to your projects. 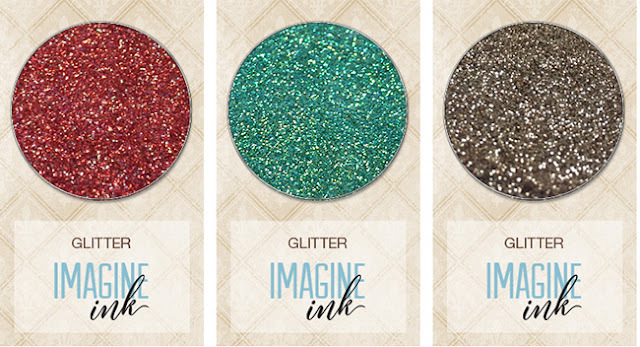 We have also added glitter! These three colors, Phoenix, Caribbean, and Pyrite will bring just the right amount of sparkle! 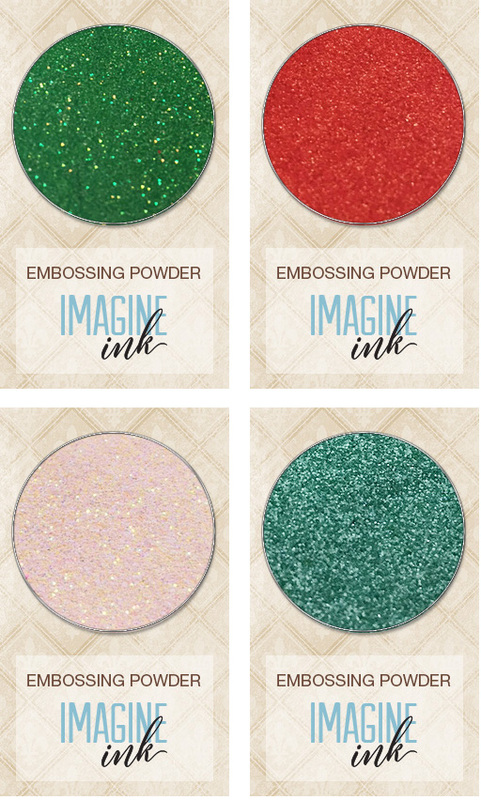 And wouldn't it be wonderful to have some coordinating Embossing Powder? We have taken care of that, too. What an awesome way to enhance our chipboard designs! 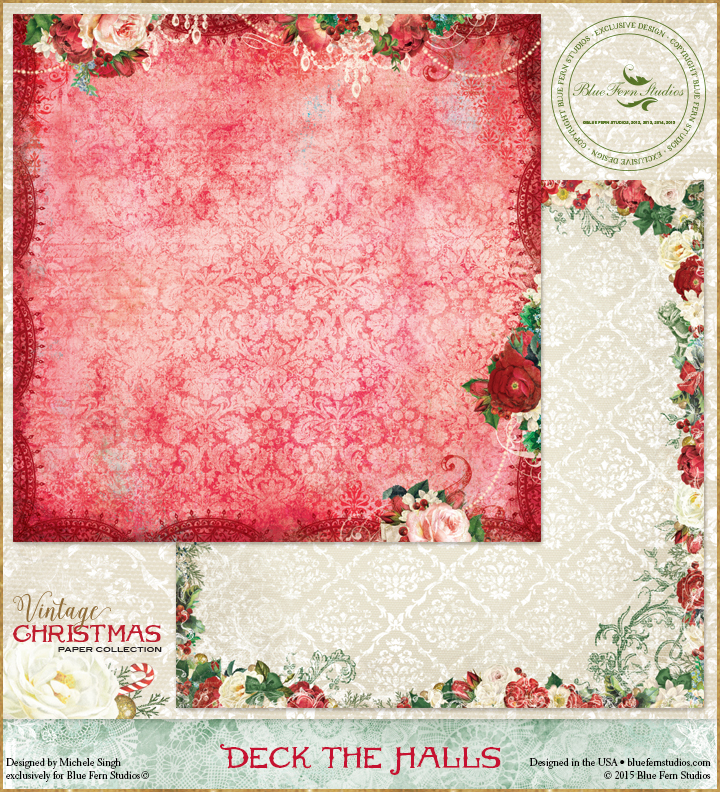 Once again, we have taken the guess-work out of it by selecting four colors that will coordinate with the Vintage Christmas collection - Lucky, Poinsettia, Petal, and Fern. We sure hope this has put you in the mood for Christmas. We will be showing you projects from our Creative Team later this month. Wait until you see how they are using these products! And of course, we have designed some beautiful chipboard pieces, just in time for your holiday and winter creating. Be sure to check back next week when we reveal the new designs. Wow - gorgeous paper and products - can't wait to purchase the papers and chippies! I haven't seen such a beautiful Christmas collection like that in a long time !! Mixed media and some chipboard doodling. 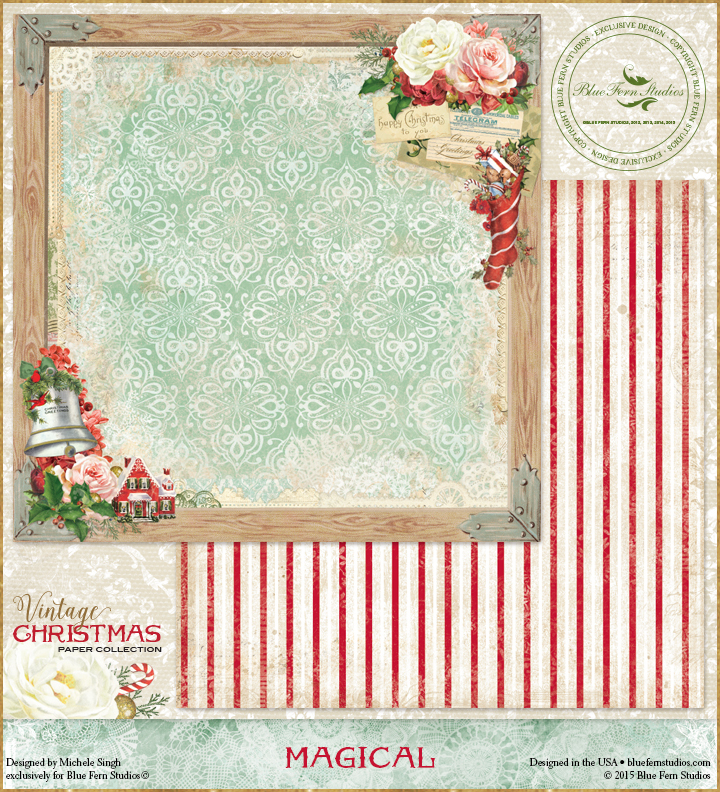 Coming Soon - Vintage Christmas!